Multiple preclinical and clinical research is suggesting the definite role of inflammation in the brain after ischemic stroke. The inflammation could be both detrimental and helpful based on the stages of the post-stroke pathogenesis. I always explain this to my stroke patients by giving an example of injury to, e.g., a finger. I ask them, When you hurt your finger, what happens to it? It starts hurting, swells and turns colors due to inflammation. Similarly, in the brain after stroke, the brain goes through the similar process; unlike pain medicine for fingers, we don’t have medicine which helps with inflammation in the brain, but with time, the body tends to heal most of the inflammation. Explaining to them in lay terms helps them understand the process better. In this study, investigators from the SCIL-Stroke phase II trial are investigating if blocking interleukin IL-1 results in the lowering IL-6 levels and if this could be associated with a better clinical outcome. This project is in line with the previously published work by Dr. Albers’ group, where they addressed a similar question but without a placebo control arm. Over the past 20 years, use of intravenous recombinant tissue-type plasminogen activator (IV-rtPA; Actiplase) has become ubiquitous as the first-line treatment for acute ischemic stroke. Despite recent exciting advances in endovascular therapy, as well as emerging optimism about tenecteplase (TNK), IV-rtPA remains king. 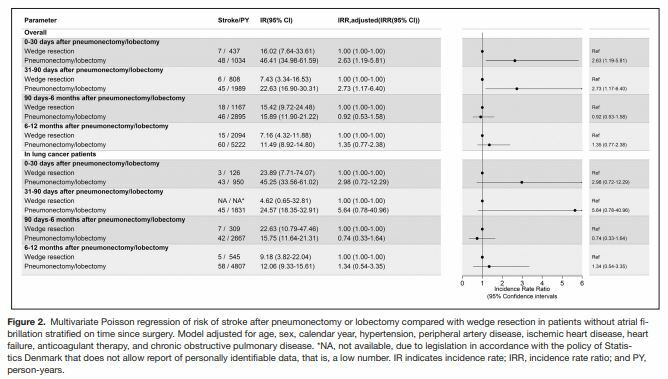 For nearly 30 years, the dose-response relationship between tobacco consumption and stroke risk has been well established. First published in Stroke, in September 2008, this Maryland group of researchers demonstrated a strong dose-response relationship between current cigarette smoking and ischemic stroke (IS) risk among young women. This latest report demonstrates a similar dose-response effect among young men. Because of potential interactions between smoking and hormonal milieu, a separate examination of this issue in men is important. The authors are keen to note that cigarette smoking, a modifiable risk factor for ischemic stroke, has been on the rise among young adults. The team devised a population-based, case-control study of risk factors for IS in men ages 15 to 49 years, with a study population of 1145 subjects. Demographic characteristics of participants were adjusted for potential confounding factors, including age, race, education, hypertension, myocardial infarction, angina, diabetes mellitus, and body mass index. Zhai FF, Yan S, Li ML, Han F, Wang Q, Zhou LX, et al. Intracranial Arterial Dolichoectasia and Stenosis: Risk Factors and Relation to Cerebral Small Vessel Disease. Stroke. 2018. Intracranial arterial dolicheoctasia (IADE) is an intriguing arteriopathy. Cerebral ischemia, compression of neural structures and intracranial hemorrhage are common complications of abnormally dilated vessels. The underlying pathology of IADE is unknown. With the exception of few cases associated with an underlying hereditary condition (i.e., Fabry’s disease and late-onset Pompe’s disease), IADE had been historically thought to be secondary to underlying atherosclerosis. On the other hand, several studies show a link between IADE and small vessel disease (SVD) and suggest an underlying vascular process other than atherosclerosis. The study of Zhai and colleagues aims to address this controversy by exploring vascular risk factors associated with IADE and intracranial atherosclerotic stenosis (ICAS), as well as the association of these arteriopathies with different imaging markers of SVD. The current issue presents a cross-sectional analysis using data from an ongoing community-based cohort in China. The study included 1,237 individuals aged 35 or older that underwent brain MRI. Abnormal arterial dilation was defined by a diameter ≥2DS of either internal carotid artery or the basilar artery after adjusting for total intracranial volume (TIV); basilar artery dolichoectasia (BADE) was defined based on Smoker’s criteria and ICAS by any degree of stenosis of intracranial vessels on MRA. The authors failed to find an association between IADE and traditional vascular risk factors such as higher systolic blood pressure, diabetes mellitus, higher LDL-C and lower HDL-C, whereas ICAS was strongly associated with aforementioned conditions. When the different imaging markers of SVD were analyzed, IADE correlated mainly with enlarged perivascular spaces (E-PVS), as well as lacunar infarcts (LI) and cerebral microbleeds (CMBs) to a lesser extent. ICAS was associated with LI and white matter hyperintensities (WMH), but not with CMBs or E-PVS. The importance of collateral vessels in maintaining the penumbra during acute ischemic stroke is well-known, but how do we best measure them? Robust collateral vessels are associated with better perfusion of the ischemic penumbra and a better outcome after endovascular therapy in large vessel occlusion as compared to poor collateral vessels (Bang, Saver et al. 2011). Patients with poor collaterals may be at a higher risk for hemorrhagic transformation following recanalization (Bang, Saver et al. 2011). In some cases, collateral vessels may influence the decision whether or not to intervene on a large vessel occlusion. Cerebral angiography offers a detailed, dynamic view of the cerebral collaterals but is an invasive procedure, often occurring after the decision to intervene is already made. CT angiography is probably the most widely used method of measuring collateral vessels and can occur in conjunction with the non-contrast CT performed during an acute stroke activation. Recently, there has been increasing evidence of higher risk for stroke in patients with migraine, in particular with migraine with aura. Interestingly, patients with migraine with aura have higher rates of PFO with right to left shunt, bringing up the question: What’s the relationship between migraine with aura, PFO, and ischemic stroke? In this study, West et al evaluate the prevalence of PFO with right to left shunt in patients with cryptogenic stroke and who had a history of migraine. This was a retrospective analysis of data on patients presenting to the UCLA comprehensive stroke center between January 2008 and November 2017. Stroke etiology was classified based on the ASCOD phenotyping. Patients’ charts were also reviewed to identify patients who carried a diagnosis of migraine. Patients with migraine auras for > 50% of the time were classified as migraine with frequent aura. A PFO with right to left shunt was identified by the presence of positive bubble contrast study with TTE, TEE, or TCD. In the setting of the new acute ischemic stroke guidelines this year, one of the new recommendations is a Class IIa, Level of Evidence B-R recommendation that treatment for 21 days with dual antiplatelet therapy (aspirin and clopidogrel) beginning within 24 hours for patients presenting with minor stroke can be beneficial for early secondary prevention for a period up to 90 days from symptom onset. This recommendation was based solely off the CHANCE trial. In the original CHANCE cohort, they found that DAPT reduced stroke recurrence by about 30%. A conversation with Dr. Raphael Guzman, Professor of Neurosurgery and Neurosciences at University Hospital Basel; Dr. Miroslaw Janowski, Associate Professor of Radiology at the Johns Hopkins University School of Medicine; and Dr. Piotr Walczak, Associate Professor of Radiology at Johns Hopkins University. From left, Dr. Raphael Guzman, Dr. Miroslaw Janowski, and Dr. Piotr Walczak. Interviewed by Dr. Kaustubh Limaye (@kaustubhslimaye), Assistant Professor of Neurology in the division of Cerebrovascular Diseases at the University of Iowa. They will be discussing the paper “Intra-Arterial Delivery of Cell Therapies for Stroke,” published in the May issue of Stroke. The article is part of a Focused Update in Cerebrovascular Disease centered on stem cells and cell-based therapies. Dr. Limaye: I read your review in Stroke that deals with intra-arterial cell therapy for stroke recovery with great interest and enthusiasm. Can you summarize the important points of your article for our readers? Authors: The concept of using stem cells as a strategy for treatment of stroke is a few decades old. There were hundreds of animal studies, dozens of clinical trials, and we are still far from effective therapy. Perhaps it is time to take a step back and think whether something has to be changed with the approach to developing cell therapy for stroke. One problem is that we scientists and clinicians have been overly optimistic or even ignorant. The typical approach for research on stem cell-based therapies was: Let’s inject some cells into the brain lesion and hope for the best. The challenge was immense as the stem cells of choice after transplantation are required to find their way migrating to the target, survive, proliferate, appropriately differentiate and exert therapeutic effect. We see first-hand that such a simplistic approach was not constructive. While open label preclinical studies were optimistic, practically all rigorous clinical trials failed to demonstrate satisfactory therapeutic effects. This status quo has hurt the field of stem cell therapy for stroke as scientists, grant reviewers and funding agencies gradually lose enthusiasm and abandon the concept of brain regeneration after stroke with stem cells, stifling any further progress. It is urgent that we work towards reversing that trend, and our strategy is to shift from a “do all” approach to addressing very basic challenges in a systematic manner. 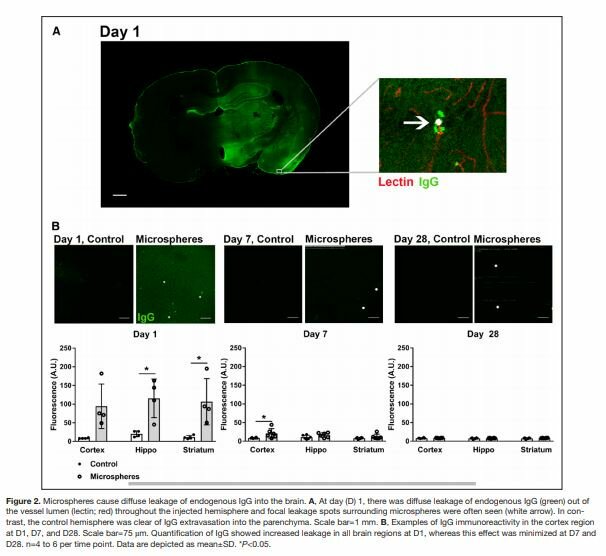 After identifying promising and highly potent sources of stem cells, which is now largely accomplished, the next step is to develop methods for effective and safe delivery of stem cells to the site of brain injury. Leukoaraiosis, along with microbleeds and lacunes, are one of the most commonly encountered findings after a brain imaging in patients with multiple vascular risk factors. These changes are a result of small vessel disease (SVD). White matter disease is considered as a potential imaging marker for the development of dementia. Apart from traditional risk factors, e.g., hypertension, diabetes, etc., Aβ (amyloid β) has been proposed as an additional contributor to SVD. To investigate the association of plasma Aβ levels with severity and progression of SVD, the authors studied 487 participants in a prospective cohort RUN DMC study (Radboud University Nijmegen Diffusion Tensor and Magnetic Resonance Imaging Cohort). A major challenge faced by vascular neurologists and neuro-radiologists is accurately identifying the subset of patients with chronic cerebrovascular steno-occlusive disease, predicting those that have a propensity to develop hemodynamic failure and, as a result, have an increased risk of stroke. Over the past few years, with development of imaging technology, multiple CT and MRI-based techniques have been developed to assess the degree of hemodynamic failure. Cerebral blood flow measurement using 15O PET scan has been recognized as the gold standard. There is a baseline measurement followed by a second scan with acetazolamide (Diamox) challenge.